Dr. Christopher Bell is an Associate Professor of Media Studies at the University of Colorado Colorado Springs. He specializes in the study of popular culture, focusing on the ways in which race, class and gender intersect in different forms of children's media. Dr. Bell is a TED speaker, a diversity and inclusiveness consultant for Pixar Animation Studios, a 2017 David Letterman Award winning media scholar, and the 2017 Denver Comic Con Popular Culture Educator of the Year. Recognized nationally for his expertise in the area of children's culture, he serves as the chair of the Southwest Popular/American Culture Association's Harry Potter Studies division. He teaches both theory and methodology courses in critical analysis of popular culture, rhetorical theory, representation theory and mass media. Word on the street is, he also plays a pretty mean ukulele. Dr. Bell's TED talk can be viewed here. Dr. Lauren Camacci is a Post Doctoral Teaching Fellow at Penn State University. Her main area of expertise is rhetorical criticism and critical studies of men and masculinities, with particular interest in how popular culture mediates, shapes, and challenges what it means to be a man in America. Dr. Camacci has received commendation from Penn State for her teaching and research and remains an active mentor to Penn State graduate students. She is an active member in the core leadership group of Harry Potter Studies, located at the Southwest Popular/American Culture Association and the Chestnut Hill Harry Potter Conference, where she is known as the resident encyclopedia of Potter book knowledge. When not writing or teaching, you can find Lauren crafting (most recently, cross-stitching) and watching movies. Dr. Camacci's work can be found at http://www.laurencamacci.com. 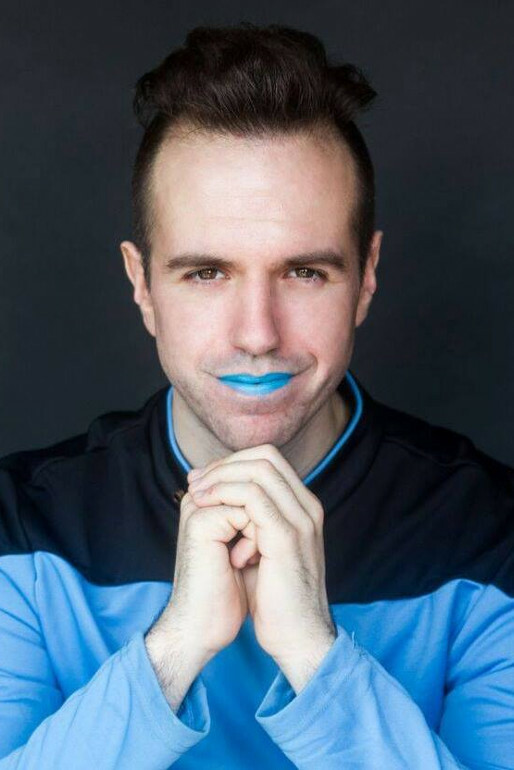 Jonathan Alexandratos is a non-binary, New York City-based playwright and essayist who writes about action figures, gender, and grief. Academically, they edited Articulating the Action Figure: Essays on the Toys and Their Meanings, the first collection of scholarly essays that center entirely around action figures. They have spoken about toys and how we can read them as texts on the PBS program Story in the Public Square, co-hosted by Toy Wars author G. Wayne Miller. Further academic work on action figures by Jonathan can be found in The Oxford Handbook on Comics Studies, Comics Studies Here And Now (Frederick Aldama, ed. ), and The Star Trek Universe. Jonathan also covers toys for Tor.com and Legion of Leia. Creatively, their plays have been produced across the U.S. and abroad, many of which use action figures to tell human stories. Most recently, Jonathan's play We See What Happen, the immigration story of the playwright's grandmother as told by bootleg superhero action figures, was awarded the Greenhouse Prize by Strange Sun Theatre after its development with Nashville Repertory Theatre's Ingram New Works Lab. If all this sounds really weird for any reason, please keep in mind that Jonathan's grandmother was in a viral Greek rap video like two years ago, so at least you can take comfort in the fact that it all runs in the family. Pick up Articulating the Action Figure here. Marley's work has been published in this volume, which can be picked up here. Dr. Kyle Kontour is an instructor at the University of Colorado Denver. His research is broadly concerned with game studies and new media, with a particular emphasis on the military entertainment complex and its impact on and relationship to cultural production, gender, performance, discipline and the conduct of war. He has presented research on online fandoms and the brony phenomenon and has published research on World of Warcraft and the Call of Duty series, as well as critical analysis of effects research on video games. Dr. Kontour spends most of his time wrangling three children and delving into pointless "discussions" on Reddit. Dr. Tracy L. Bealer received her Ph.D. from the University of South Carolina, and currently teaches literature and composition at Borough of Manhattan Community College. She specializes in the twentieth- and twenty-first-century American novel with a particular interest in pop culture and genre fiction. She has published on William Faulkner, Alice Walker, Quentin Tarantino, Harry Potter, and Twilight, and co-edited Neil Gaiman and Philosophy for Open Court’s Pop Culture and Philosophy series. She is co-director of the Page 23 Literary Conference at Denver Comic Con. Pick up Neil Gaiman and Philosophy here. Dustin Dunaway is the Chair of English & Communication at Pueblo Community College in Pueblo, Colorado. He teaches courses in Public Speaking, Interpersonal Communication, Gender Communication, Intercultural Communication, Small Group Communication as well as Leadership, Negotiation, and Conflict Resolution. His area of research focuses on the nexus of communication, rhetoric, and culture and their influence on individual identity. His published works can be found in At Home in the Whedonverse and Transmediating the Whedonverse from McFarland Press. When he's not teaching or researching, he makes films through his production company, Cool Channel Films. Stick around long enough, and he'll probably find a way to ruin your childhood. Dustin's work can be found in The Politics of Race, Gender and Sexuality in The Walking Dead: Essays on the Television Series and Comics here. Dr. Shannon Sindorf received her PhD in media studies from the University of Colorado, Boulder in 2014 and currently teaches media studies at the University of Colorado, Boulder and communication at the University of Colorado, Denver. She researches social media and democracy, popular framings of technology, and popular culture. She is currently failing spectacularly at starting a container vegetable garden, which is a shame because she loves to cook (but has no time to, so it all works out). She is an unapologetic Marvel person. Natalie Sheppard lives in New Orleans and is currently working towards a PhD in English at Louisiana State University where she studies transformative, transmedial adaptations of classical literature with a particular eye towards the ways women reclaim and retell traditionally male-dominated stories in popular culture. Previously, she attended the University of New Orleans where she somewhat accidentally acquired a master’s degree in early British literature with a focus in medievalism. Natalie is co-director of the 2019 Mardi Gras Graduate Conference at LSU and has presented at many national academic conferences on topics ranging from Swamp Thing and Dante, Hawkeye and deaf semiotics, and Harley Quinn and feminism. Her work has been published in The Ages of Iron Man: Essays on the Armored Avenger in Changing Times. In the very rare moments when she is not reading, writing, or teaching, Natalie enjoys trying to keep her feeble garden alive, shooting traditional archery, and telling ghost stories to tourists for hustle money.